As a contest, it's not even close. The holes Doug digs swallow whole tractors; they reveal long-buried treasure; they open up new veins in old gold mines. And they lead our happy-go-lucky hero to all kinds of strange places. He winds up on (or really under) Easter Island, on the Hollywood Walk of Fame, on the African savannah, on a golf course, and even in a mummy's tomb! And perhaps the strangest place he finds himself is the White House, often famed as a home for dog-lovers and sometimes plagued by dogs who love to dig (although none so industriously as Doug). 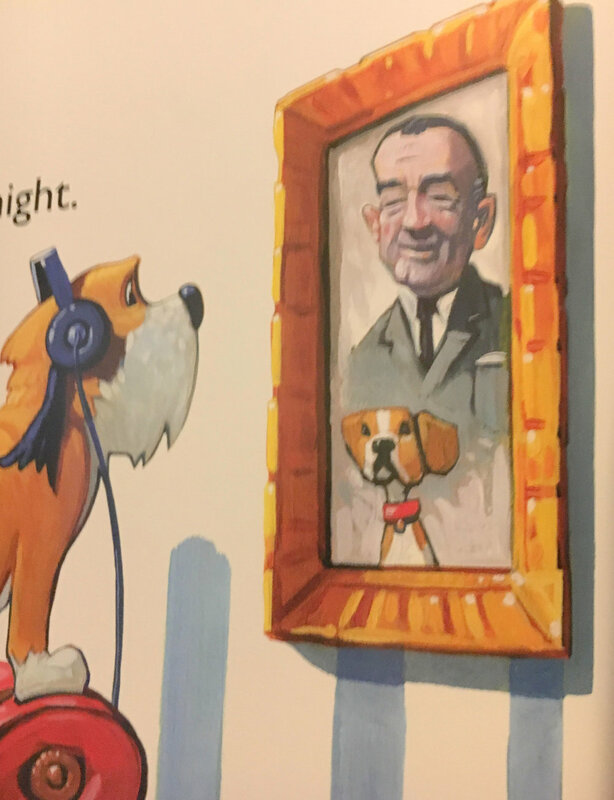 In the White House he pauses to look at a portrait on the wall – President Lyndon Johnson and one of his famous beagles – and he upends the Resolution Desk in the Oval Office before he digs himself back home. Exhausted, he digs his way into the house and sprawls out on the bed of his owners for the night – but he's dreaming of digging deep, deep holes on faraway worlds. 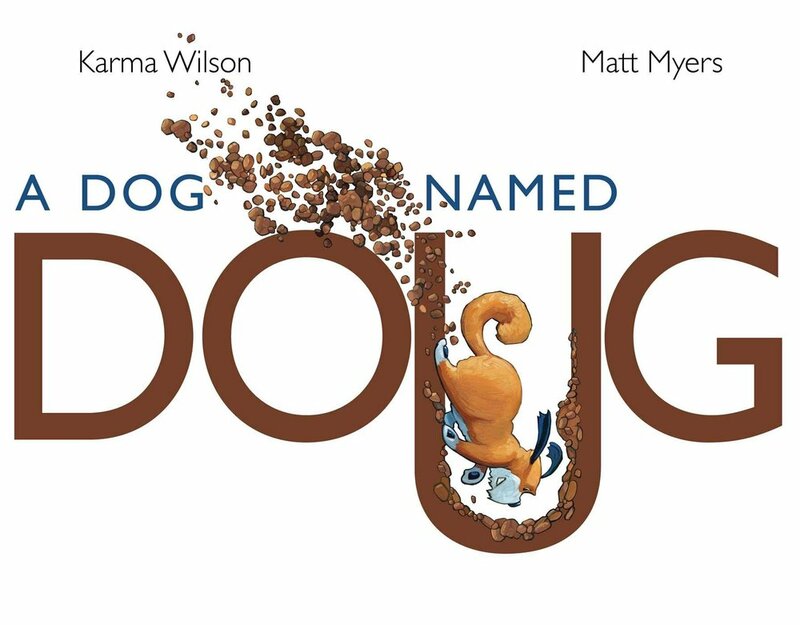 Both Karma Wilson and Matt Myers have long track records of writing and illustrating popular kids books, and that polished, perfected skill is evident on every page of A Dog Named Doug. The book is a pure, light-hearted romp that will delight both dog-loving children and the parents reading to them.